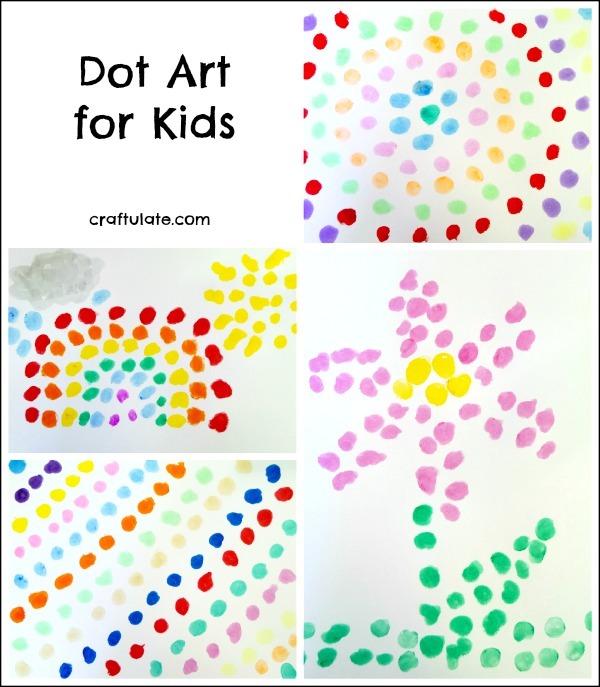 This art activity is a great way to introduce kids to the technique called Pointillism – where art is created by a series of dots. 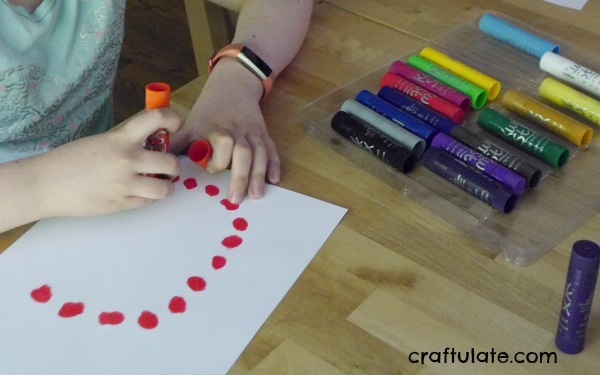 We’ve briefly covered this before using Q-Tips to make the dots, but this time we used Kwik Stix paints. 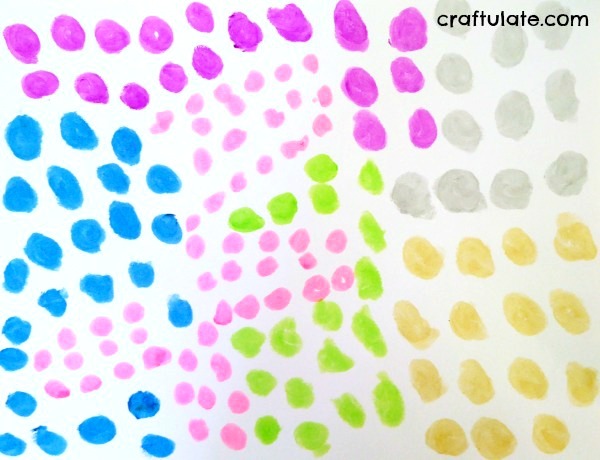 If you haven’t tried them before – check out our review! 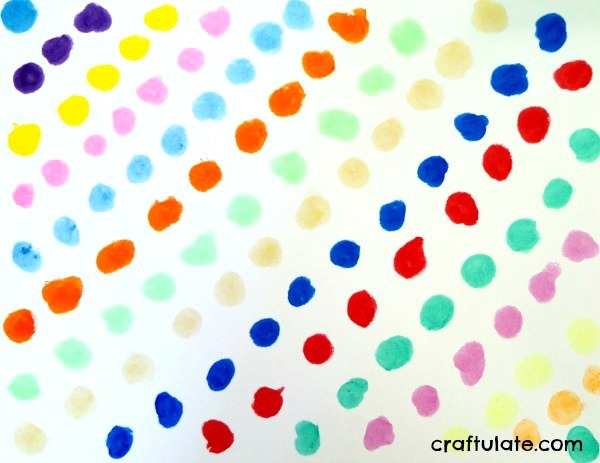 They have super vibrant colors and are dry within 90 seconds. 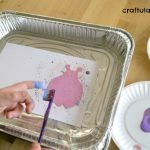 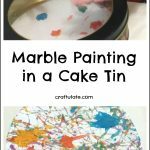 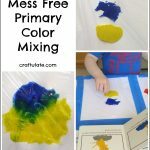 They are absolutely perfect for a crafty playdate because the paint is dry so quickly that everything can be taken home afterwards without spoiling. 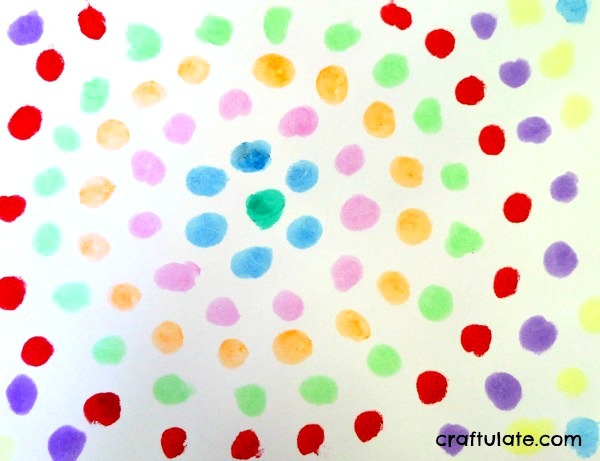 The girls loved them immediately, and I showed them how to make large dots that created a bigger picture. 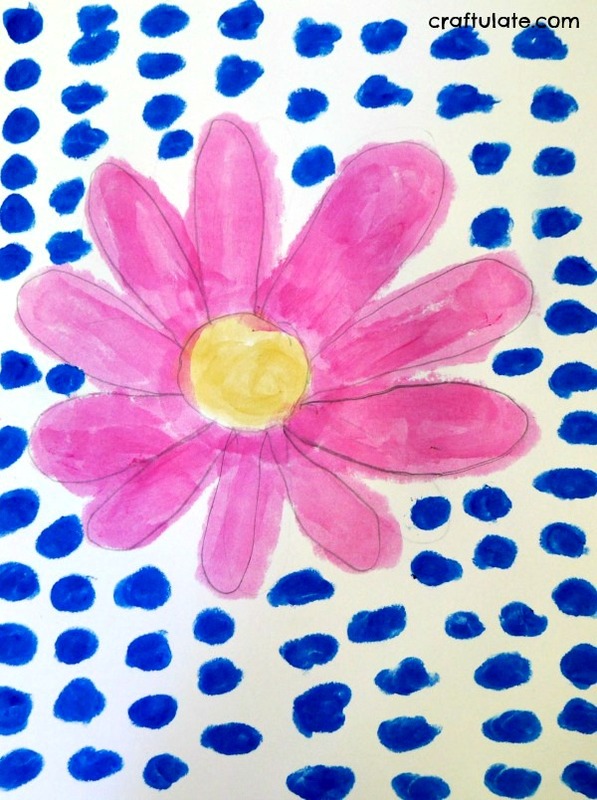 Miss E created this weather picture and Miss L designed some clothes! 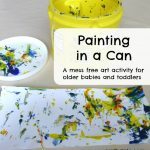 But there was no stopping them – they loved that the paints were mess free. 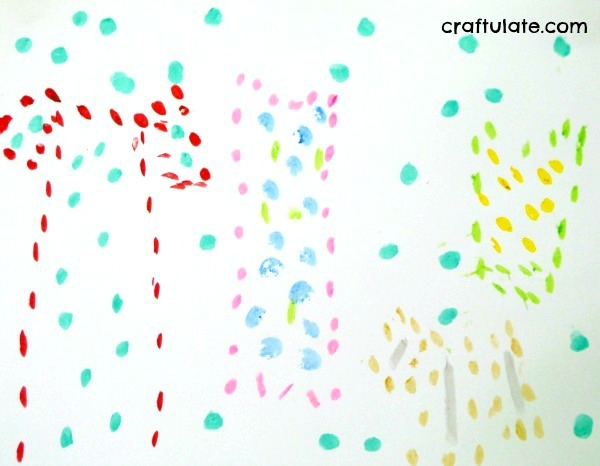 Here were some of the other artwork from this session! 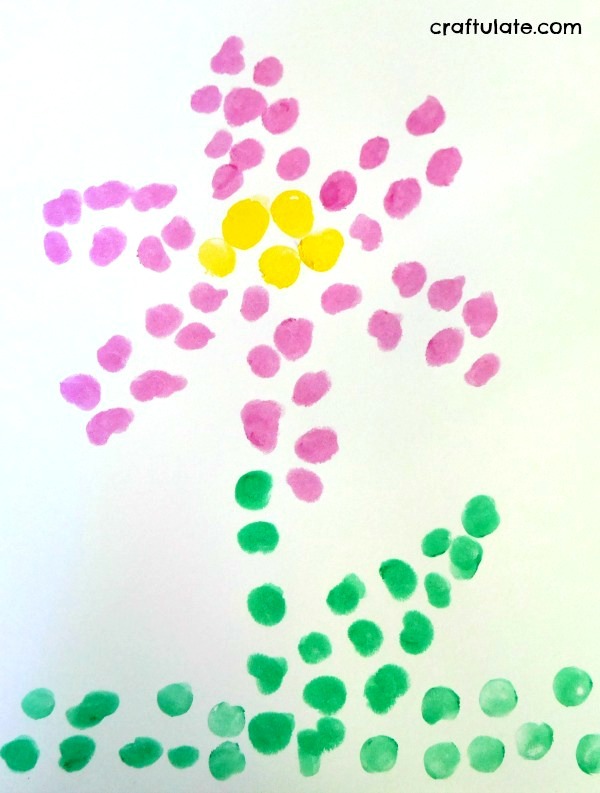 Miss E used the paints in the regular way to make a flower, but made the background from dots. 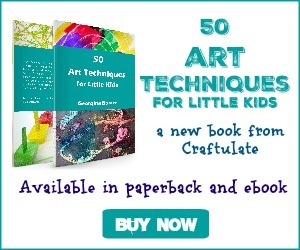 I rather like the effect! 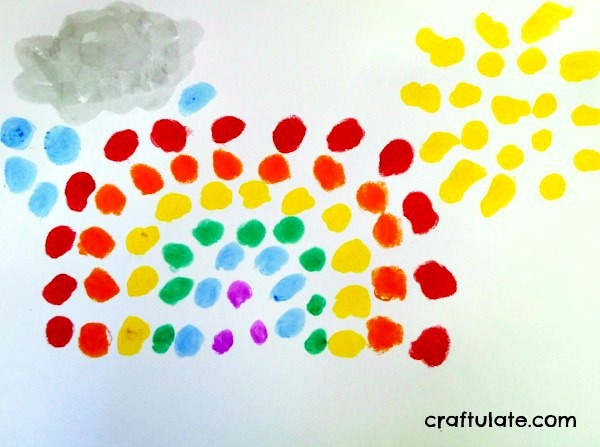 All the different pictures and patterns were a great way to try out these wonderfully bright Kwik Stix paints!